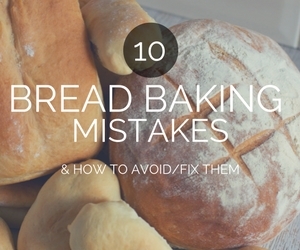 Stop making door-stop bread & start making bread that's better than the local baker's. Enter your details and you'll soon have people lining up outside your door throwing money at you in desperation because your bread smells so amazing they have divorced their local bakers & want you instead. © Copyright 2019 Claire K Creations. All rights reserved.